This index includes entries (615,592 in October 2014) compiled by examining actual records held by the Oregon State Archives. The spelling of surnames and other information reflects the original records. These record descriptions and listings are based on useful topics for researchers. Most of the records are available at the Oregon State Archives. ​​Some are indexed online. The guides also give suggestions for records held by other repositories such as the National Archives and Bureau of Land Management. Here you may browse State Agency Records Guides including Department ofCorrections (1854-1983), Oregon Department of the Military (1847-1986), and Depart​ment of State Lands (1859-1989), and many more. 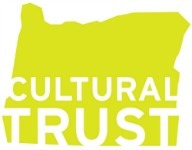 The Oregon Historical Society serves as the state’s collective memory, gathering and preserving a vast collection of artifacts, photographs, films, manuscripts, books, and oral histories. The Oregon Historical Society's Research Library maintains more than 32,000 books, 25,000 maps, 12,000 linear feet of manuscripts, 3,000 serials titles, 5,000 vertical files, 16,000 reels of newspaper microfilm, 8.5 million feet of film and videotape, 10,000 oral history tapes, and more than 2.5 million photographs. Funeral Home and Cemetery Directory - Site contains a list of licensed funeral homes and cemeteries in the state of Oregon. The list is word searchable. The facility descriptions often contain earlier names as well as those they have purchased or consolidated with. 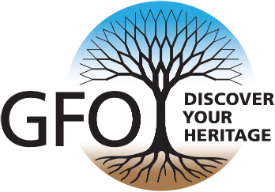 The GFO has copies of the 2016 and 2017 directories. This guide includes maps, county and office histories, scenic images and a comprehensive descriptive inventory of selected records for each of Oregon's 36 counties. The inventory listings describe records available to researchers at the State Archives, county offices, local museums and other repositories. Index entries cover some 17,000 obituaries, mainly of Clackamas County residents and former residents from over 100 years of Canby, Oregon, newspapers. A local history collection that honors the people who lived in Sherman County, kept the records, and preserved their stories. It’s truly the work of many, and will appeal to history enthusiasts and genealogists. A preliminary guide for those persons conducting research on Coos County and south coast history and genealogy. Oregon pays for the disposition of the unclaimed dead through its Indigent Burial Fund. This searchable database, going back to January 2000, lists the names of those whose final arrangements were covered by the fund. Theodore A. Penland, last surviving member of the G.A.R. American Battle Monuments Commission — WWI : an index to the 226 WWI soldiers from Oregon in the ABMC database. Cemetery links go directly to the page for the soldier and give much more information. Oregon Trail - "On the Oregon Trail"
At the End of the Trail — Clackamas County, home to Oregon City, the first capital of Oregon Territory. As the site of some of the earliest settlements in Oregon, Clackamas is a fascinating area for historians and genealogists. Online collection of yearbooks from 1913-2016. Roseburg is a city in Douglas County, Oregon.